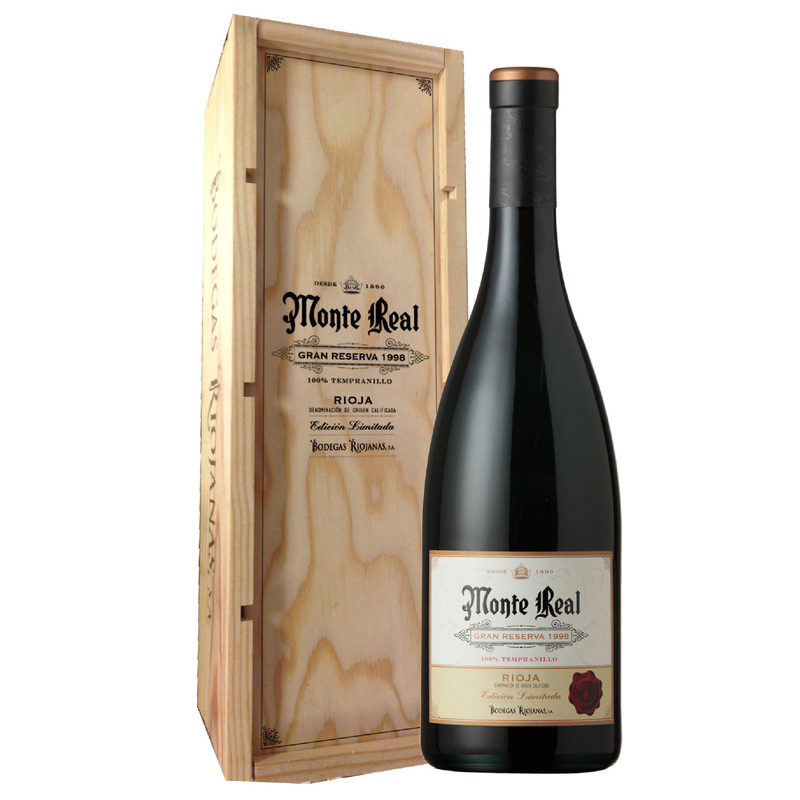 A very special limited edition Gran Reserva Rioja presented in a beautiful presentation box. This wine delivers an intense ruby red colour, with dark orange-brown hues thanks to its excellent ageing. Good layers, clean and bright. Powerful aromas on the nose, which are released in the glass, reaching its fullness. Because of its good ageing, the characteristic aromas of Tempranillo (cherry and licorice) overlapping with aromas of oak, vanilla, other spices and subtle toasted are present. On the palate is discovered his greatest treasure, harmonious, fine, elegant, velvety, well evolved, fresh, excellent acidity, fruitiness and ends with a long-lingering finish, where memories described above emerge in the aroma.